There are major changes happening in the hardwood flooring industry right now. The poor economy, coupled with diversifying consumer tastes, has left hardwood flooring manufacturers scrambling to create cost effective product lines which meet the stylistic demands within the current marketplace. 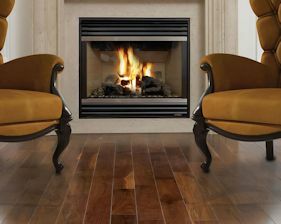 Perhaps one of the most drastic updates we’ve seen this year comes from the Canadian hardwood brand Muskoka. Back in 2011, Muskoka’s assets were sold to Boa Franc. We were anxiously waiting to see what changes the new parent company would bring with the acquisition and in March of this year we witnessed a complete overhaul of their hardwood flooring product line. First we saw the Clear Grade go, with the plants transitioning to a Select & Better Grade as their clearest offering. Muskoka then discontinued many of their highly popular stain colors and introduced a whole new spectrum of darker colors and tones, as that’s where the current customer trends seem to be leaning towards. They also streamlined their solid line, completely getting rid of the soft American Cherry and downsizing their exotic offering to only the most popular species: Brazilian Cherry and Tigerwood. An engineered line is still available, although it only includes a 3-1/4 IN. wide plank and in a Red Oak or Maple wood species. Solid Sawn and Handscraped Collections complete Muskoka’s product line, offering incredibly thick wear layers — 5mm and 4.2mm, respectively. Best of all, even with these changes, Muskoka has still managed to keep product pricing relatively competitive. Aside from new product in their portfolio, Muskoka has also improved the technological aspects of the brand. A completely new website (www.muskokaflooring.com) offers a copious amount of information: product specifications, board construction illustrations, installation & warranty information, environmental concerns, high resolution product pictures and roomscene photographs. Additionally, Muskoka dove into the social media world earlier this year, using sites such as Pinterest and Facebook to connect directly with the end consumer. Rounding out their social media buzz is a new blog, which shows to have a promising start. Boasting 110 years of bringing hardwood flooring to homes in North America, one has to question the effects which such an extensive product line shake up carries. However, customers seem satisfied with the new colors and board sized available and are still very much aware of Muskoka’s premium quality. So, it’s out with the old and in with the new. Hopefully these new updates will allow Muskoka to be more accommodating and competitive within the hardwood flooring industry. This was a serious overhaul for this long-established hardwood flooring manufacturer and, as of right now, it looks like Muskoka is headed in a positive direction. Click here to visit the Muskoka page on Hosking Hardwood Flooring. This entry was posted on Tuesday, April 23rd, 2013 at 9:59 am	and is filed under Engineered Wood Flooring, Exotic Wood Flooring, Floating Wood Floors, Hand scraped hardwood flooring, Hardwood Flooring Manufacturers, Solid Hardwood Flooring. You can follow any responses to this entry through the RSS 2.0 feed. You can leave a response, or trackback from your own site.